Session “Smart and hybrid systems”. 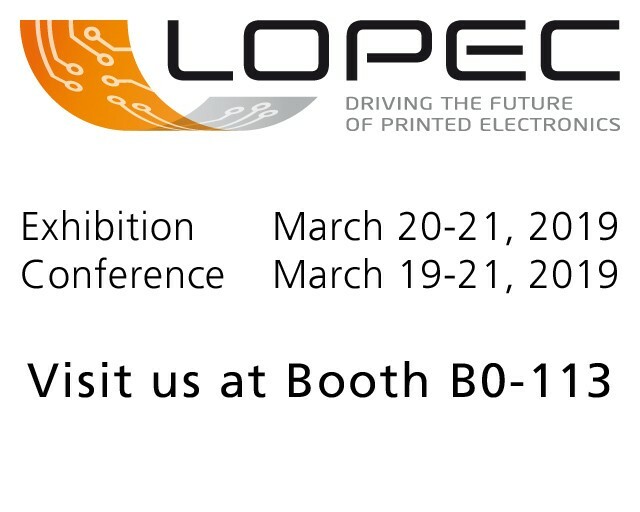 LOPEC is the leading trade fair for printed electronics. It encompasses every facet of this emerging technology, covering the entire value chain – from research and development to specific applications – as well as facilitates those essential business contacts. LOPEC (Large-area, Organic & Printed Electronics Convention) is the leading trade fair and the most important conference for the printed electronics industry. The event takes place at Messe München convention center. It is the leading global platform in the industry and provides support in every aspect of the industry, from application to research. It connects, inspires and puts ideas into practice. For today and tomorrow. This is the place where printed electronics come to life.